Selling tobacco online can be a risky business. This is the reason why it’s listed as high-risk. Even though it seems relatively harmless, a simple lack of documentation can lead to disaster for the merchant. Banks don’t want to be involved with high-risk businesses, which is why you have companies that are specialized in dealing with anything high-risk. Companies like us. People that don’t want to go through the hassle of leaving their home and searching for custom tobacco shops, ordering tobacco online is an excellent idea. Often these online tobacco shops offer the same assortment of items with the same quality as shops that you can find in your city. Tobacco is completely legal, so you won’t run into problems while purchasing it. Having an online tobacco store can be more rewarding than actually selling in stores in cities. You don’t have to pay for the area you’re operating in. You could simply have a warehouse that is licensed to sell products and answer to online sales. There are also various tobacco products that you can buy or sell, depending on if you’re a merchant or a customer. These products range from tobacco itself to pipes and similar equipment. We can help you acquire and secure your products, and also help secure the transactions from credit cards. 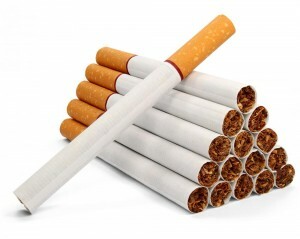 Buying tobacco products in bulk can be a great deal because it gets cheaper as you buy larger amounts. It’s a standard trade practice that most businesses do. For example, a packet of cigars costs $5. If you buy ten packets, each packet will cost less, meaning that the total cost would be around $40. Go even further and if you were to buy a hundred packets, it would cost you $250. That’s 50% less for each packet than the original price. This is just an example, but it’s how buying in bulk works. The more you buy, the cheaper it gets! Buying in bulk can sometimes be riskier than regular buying. Therefore, the merchant needs to be secured. We offer services that deal with this sort of thing. 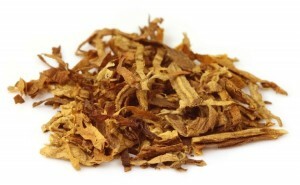 Nicotine extracts are used in E-cigarettes and have some added flavor to them. They cannot be used until flavor is added and it’s cut up. It’s very dangerous to vape unprepared nicotine extracts because they simply aren’t ready. You can make your solutions for E-cigarettes at home with nicotine extracts but always remember to add flavor. Nicotine extracts are the most dangerous and most controlled type of tobacco, and it requires a bit more effort in regards to acquiring them. We’ll help you keep your business ready and secure at all times. Tobacco paraphernalia refers to anything that is used to smoke tobacco. This includes instruments such as rolling paper, pipes, bowls, and bongs. Thanks to the technology of today, each of these tools comes in various sizes and shapes. Pipes can be from various materials and in many colors. Rolling paper can be thin, thick, long, short, extra-long, etc. There are so many different things to buy that it’s tough to pick exactly what you like most. You can buy all these products online and have them shipped to you. Online stores can sometimes have more paraphernalia than regular stores! Whatever you choose, the first and most important thing to know is that if you want the best smoking experience, don’t buy something that’s only flashy and beautiful; buy products that are high-quality! The more products you have, the more popularity, you’ll get. Our credit card processing services are state-of-the-art, and we will gladly offer them to you so your company can run smoothly. In this day and age, buying online has become the norm for many people. The ease of access to products enables humans to purchase anything they want and have it delivered to our doorsteps. It couldn’t be simpler than this! Sitting back and enjoying the day, while scrolling through a web store. Simply amazing and very practical! Everything you need – visit us and we will provide!